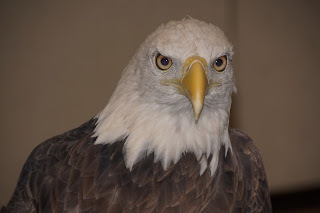 The Raptor Center: Caption Gladdie! We are sure Gladdie the bald eagle is thinking deeply about something. What do you think it is? Go to our Facebook page and post your caption ideas!